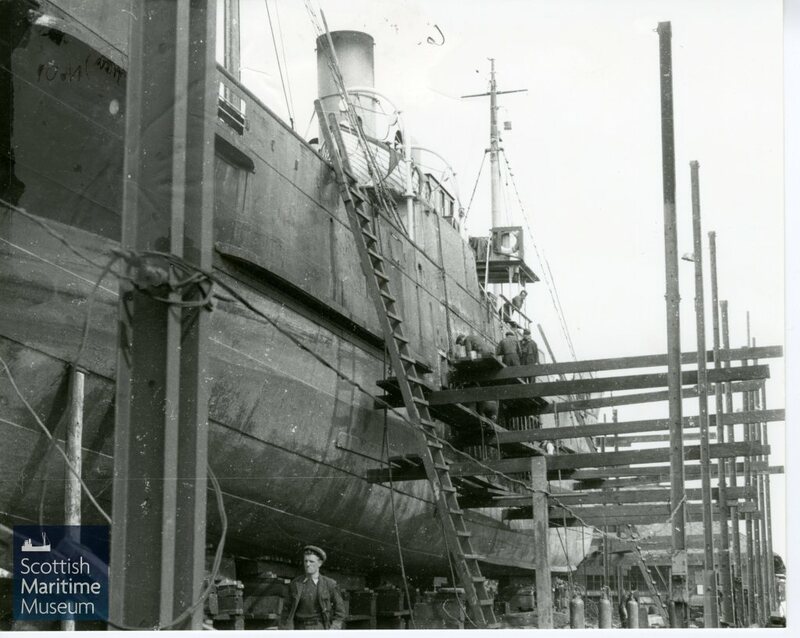 Work being carried out on “Lady Dorothy” at the Ayrshire Dockyard Company, August 1953. Copyright unknown. If you can provide any information on the copyright of this image, please contact the Museum. The Ayrshire Dockyard Company was founded in Irvine in 1888. They built a range of vessels, including tugs for the Admiralty during the First World War and steamers for the Clan Line Shipping Company during the 1920s. 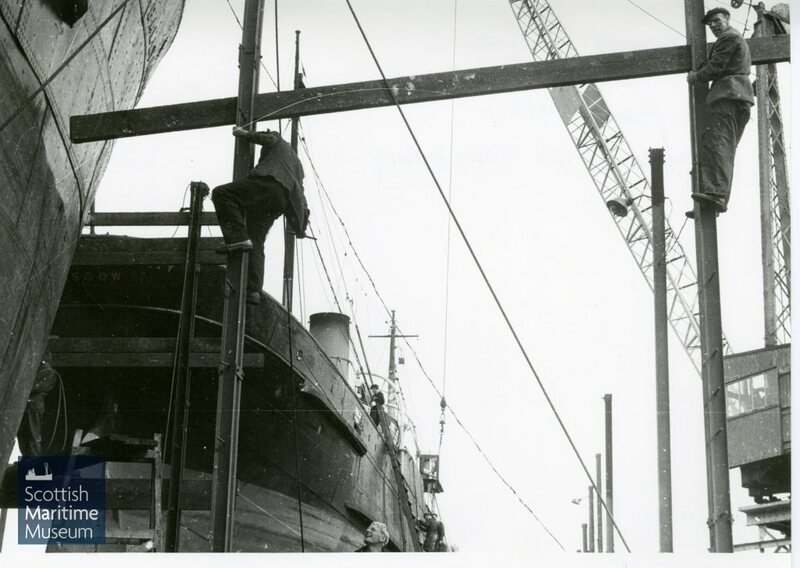 However, they were badly affected by the Great Depression in the 1930s and to survive they decided to start concentrating solely on repairing ships, such as “Lady Dorothy”. 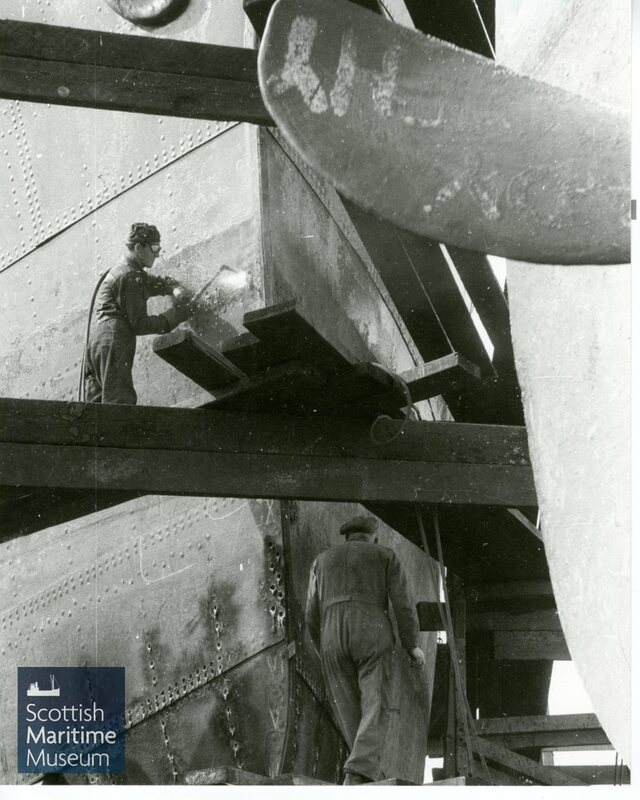 Welding work on “Lady Dorothy” at the Ayrshire Dockyard Company in 1953. Copyright unknown. If you can provide any information on the copyright of this image, please contact the Museum. As can clearly be seen in the photographs, there was little attention paid to Health and Safety. In the first half of the 20th century, shipyards were very dangerous places. There was little in the way of protective equipment, with most workers wearing everyday clothes and boots which they bought themselves. 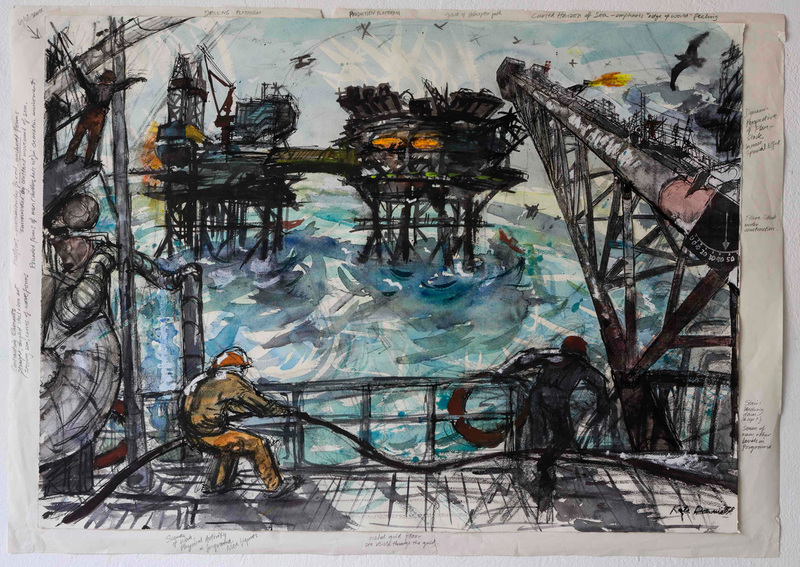 The almost constant threat of injury created a strong bond between shipbuilders and also a sense of pride in their ability to work under such circumstances. New safety measures were introduced in the 1960s, including clothing regulations such as the wearing of hard hats and protective goggles. Many were resistant to wearing safety gear to begin with as they felt it was somehow a sign of weakness. Nevertheless, health and safety is now an essential part of working in a shipyard. View of the hull of “Lady Dorothy” on the slipway at the Ayrshire Dockyard Company. Copyright unknown. If you can provide any information on the copyright of this image, please contact the Museum. “Lady Dorothy” was built in 1916 for the Nobel Explosives Company (later Imperial Chemical Industries, ICI) in Ardeer, Stevenston. She was named after the wife of one of the company dignitaries. In 1871, Alfred Nobel, the Swedish inventor of Dynamite, gelignite and other explosives had established the UK’s first dynamite factory here in Ayrshire. It grew to be the largest explosives factory in the world, resulting in the growth and prosperity of neighbouring towns, including Saltcoats, Stevenston and Kilwinning. In Irvine, the company had harbour facilities which provided quayside loading for coasters, such as “Lady Dorothy”. 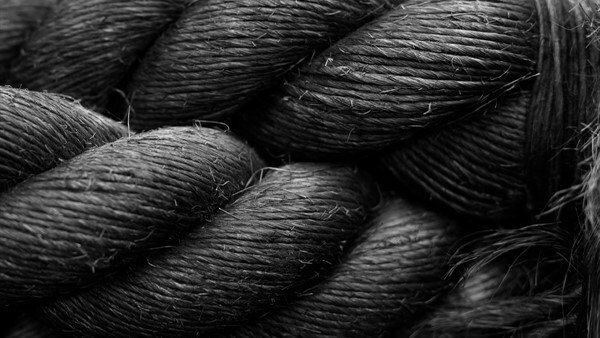 Transport by sea was the most efficient and safest means of moving explosives, both to British and international markets. “Garnock” towing “Lady Dorothy” and “George Brown” from Irvine to a shipbreakers in Troon. Copyright unknown. If you can provide any information on the copyright of this image, please contact the Museum. “Lady Dorothy” was scrapped in 1958 alongside the tug “George Brown”. 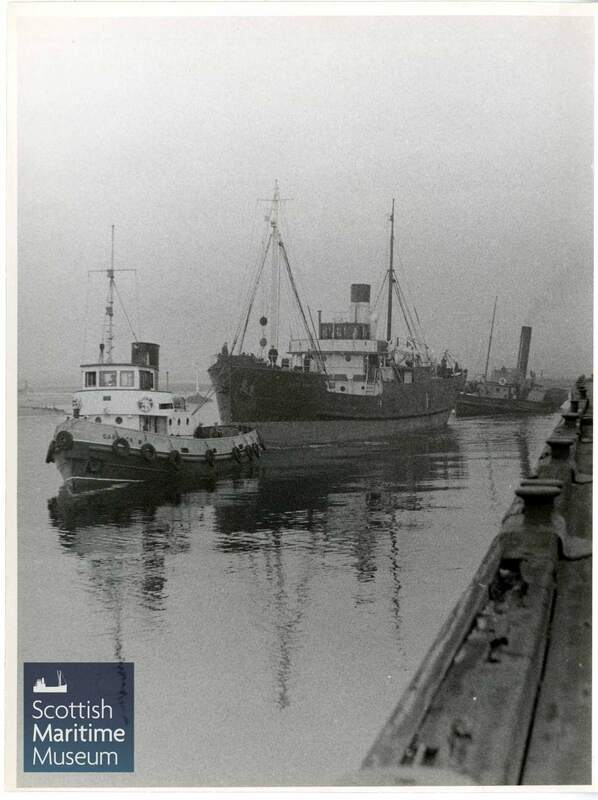 This photograph shows the two vessels on their way to Troon for scrapping, being led by another ICI vessel, “Garnock”.“Garnock” now belongs to the Scottish Maritime Museum and can be seen in Irvine Harbour.